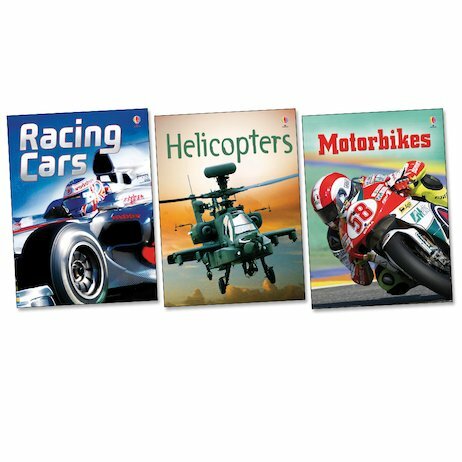 Give motor-mad youngsters a rush of adrenaline with dynamic non-fiction from a new Usborne series. Thrilling photos, diagrams, cartoons and fold-outs let kids get up to speed on all their favourite vehicles. Bringing the successful Usborne Beginners format to an older and more demanding audience, these books are written with an eye for excitement, delivering all the thrills that young readers could want, while still supporting reading development. As well as coverage of the world’s most powerful vehicles in action, captured in all sorts of dramatic contexts, lucky readers can expect stunning graphics and detailed cutaways, technical artwork, gatefold diagrams and fact-filled statistics boxes. Designed to be irresistible to boys, this series will satisfy many learning styles while boosting enthusiasm about books.